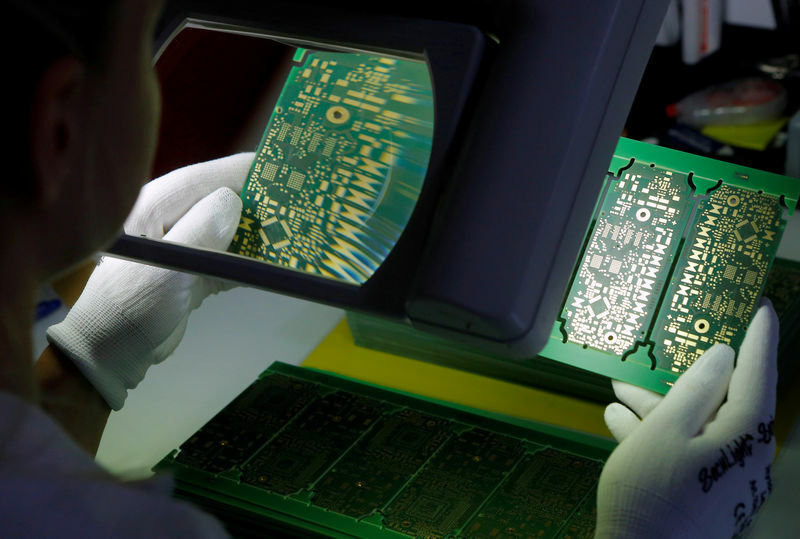 VIENNA (Reuters) – Austrian maker of printed circuit boards AT&S lowered its revenue outlook for its 2018/19 business year on Tuesday, blaming weak demand from smartphone makers and the automotive industry. The firm said it expected full-year revenue to rise by about 3 percent from last year’s 991.8 million euros ($1.13 billion), after previously forecasting an increase of 6-8 percent. AT&S has invested heavily in building manufacturing capacity in China to compete with rivals such as Samsung (KS:) and Foxconn to produce ever smaller and smarter chips for use in tablets, medical devices and navigation systems. The lowered outlook comes after smartphone makers Samsung and Apple (NASDAQ:) warned about weak demand and as carmakers face heavy investments to meet stricter emissions standards and focus investment on developing electric vehicles. Last week, South Korean carmaker Hyundai flagged another tough year, saying trade protectionism added uncertainty, while the United States, China and other major markets remained sluggish. AT&S said it still expected a full-year margin on earnings before interest, depreciation and amortization (EBITDA) of 24-26 percent. That forecast was “primarily supported by measures to enhance efficiency and productivity, and a higher-value product portfolio,” the group said. AT&S were down 2.9 percent at 15.70 euros at 1544 GMT.